My interest in Ballinrobe stems from the seminal role played by James Cuffe MP of Ballinrobe in my 2013 historical novel, Spellbound by Sibella. Cuffe reputedly sought to persuade Sir Harry Lynch-Blosse of Balla to banish his mistress, Sibella Cottle, from his home. The story was first recorded in Legends of Connaught published in 1839 by the Castlebar schoolteacher, Matthew Archdeacon. The reputed spellbinding of Sir Harry by Sibella was also described in The Spancel of Death, a 1916 play by T H Nally. 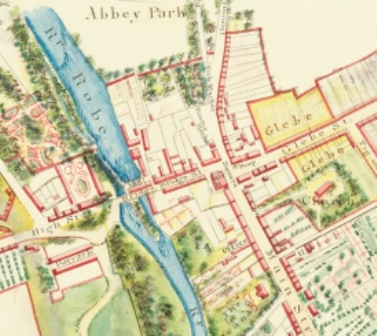 In my second historical novel, The Abduction of Anne O’Donel (due in 2014), the reputed row between her parents takes place at the Maidenhill Ball in Ballinrobe Castle after the Ballinrobe Races. After Anne is liberated from Glass Island, Lough Conn, her filly, Moyvale Maiden pips Timothy Brecknock’s, Lady Bellaston, at the Ballinrobe Races in 1785. Brecknock, the elderly law agent of George Robert Fitzgerald of Turlough, had imprisoned the heiress in the hope that she would marry him. Later that night, the liberated Anne O’Donel of Moyvale, Straide, Co Mayo, is hosted by James Cuffe MP at the Maidenhill Ball with her betrothed, Jasper Martin of Grousehall, Co Mayo. The association of James Cuffe (1747-1821) with Ballinrobe has been outlined by Tarquin Blake in Abandoned Ireland. This page was added by Paul B Mcnulty on 09/06/2014.